DART Police, Dallas Police and the Downtown Dallas Safety Patrol are working to reduce panhandling and drug sales in Downtown Dallas. 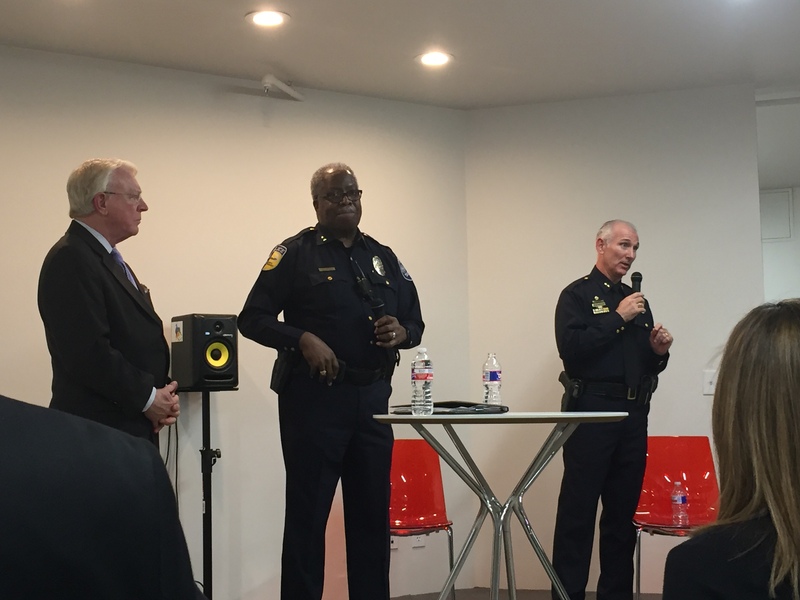 DART Police Chief James Spiller, Downtown Dallas Inc. CEO John Crawford and Dallas Police Department Assistant Chief Gary Tittle talked about the recent panhandling and drug sales crackdown at a public safety meeting Monday night in Downtown Dallas. DART Police Chief James Spiller said transit officers also have made panhandling arrests, but he did not provide statistics. He said in June or July DART plans to begin installing cameras with facial recognition software on trains. DART is also working on a cellphone app that will allow riders to take pictures of criminal incidents and send them to police. Stay tuned for more details about DART’s public safety initiatives and the installation of cameras on DART trains.